If you own or are looking to own residential real estate in BC (a home, condo, or cottage) you should be aware of the BC government’s 30 Point Plan to address BC’s housing affordability. Do you own a 2nd home or vacation property in BC? Starting in 2018, the BC Speculation Tax, announced in the BC government’s February 20, 2018 budget, is levied annually and is intended to apply to unoccupied/vacant residential properties as part of the 30 Point Plan. It’s really a vacancy tax similar to Vancouver’s Empty Home Tax. If it was a speculation tax then it would be an extra tax (on top of income tax) only when the property is sold rather than every year. Kelowna and West Kelowna and Nanaimo-Lantzville). View the areas hit with the tax. You’re a BC resident and the property is assessed at less than $400,000. For 2019, 2% for foreign investors and satellite families; 1% for the rest of Canadian citizens and permanent residents who don’t live in BC. 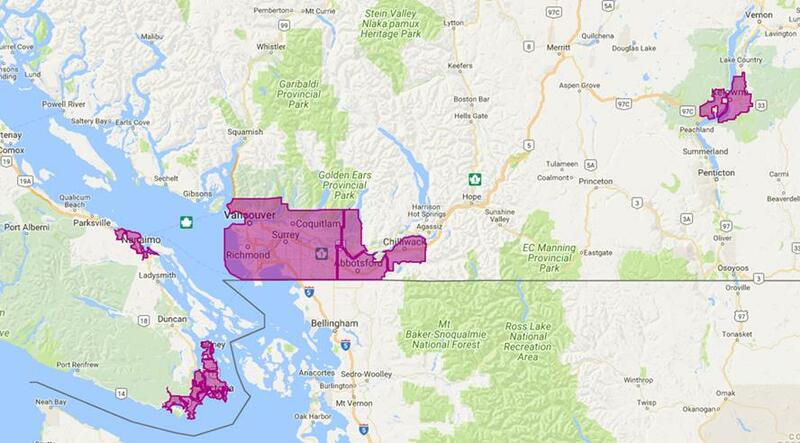 It stays at 0.5% if you are a living in BC (Canadian citizen or permanent resident but not a member of a satellite family). When will the new tax be due? The BC government says it will administer the tax outside of the property tax system and cycle and will send notices. Who has to pay it if the property is sold – the seller or the buyer? Satellite families (which have to pay the tax). If an Alberta family buys a condo for their daughter and son to go to UVic – do they have to pay rent for an exemption if the 2 students are considered a “satellite family”? Can the 3 month (6 months after 2018) rental exemption straddle a calendar year? Any exemptions for builders who sit on undeveloped land waiting for approvals? If they have to wait up to 2 years for approval before they can even begin construction then that cost gets passed onto the buyer; running contrary to BC’s mandate for more affordable housing. BC said it is working on this and will provide clarity before the summer (we haven’t heard anything yet). *The BC government will provide much needed answers to these questions sometime this fall. A Victoria seasonal condo (not rented out) and purchased and assessed annually at $1 million. For a BC resident, the BC annual speculation tax will be $5,000 each year. There is a $2,000 non-refundable credit against BC income taxes payable. For an Albertan, the annual tax will be $5,000 this year and $10,000 next year. For a foreign investor or member of a satellite family, the annual tax will be $5,000 this year and $20,000 next year. If the condo is instead in Vancouver you may also have to pay $10,000 Vancouver Vacancy Tax each year (1% of the assessed value). Please refer to our January 15, 208 article entitled Empty Homes Tax – Are you Prepared? There is also the BC Property Transfer Tax when the condo was purchased; $18,000 if the condo was purchased for $1,000,000. A foreign national or foreign corporation will have to pay another $200,000 (depending on the area) of Property Transfer Tax. On June 20, 2018, the BC government announced it is creating a public, assessable registry of who owns BC’s real estate (beneficial not just legal) that will also help the Canada Revenue Agency, other law enforcement agencies and you if you want to know who really owns that opulent house down the block. Currently, only the legal owner and transfers of legal title are registered at the BC Land Titles Office. We can help you assess how these new BC residential real estate taxes affect you or your company – whether you own a second home, vacation property or investment or development property. Please contact Lori Oliver or Edward Hall of our Canadian Tax Group or your trusted DMCL advisor. We will provide further updates when the BC government provides the legislation and details on administering the new BC Speculation Tax that they intend to implement retroactive to January 1, 2018.